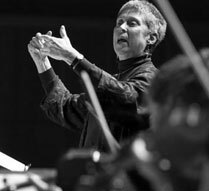 Virginia Hancock, alto, is Professor of Music at Reed College, where she teaches first-year theory and a variety of history courses and conducts the Chorus and Collegium Musicum. She holds degrees in chemistry from Reed College and Harvard University, and a D.M.A. in music history from the University of Oregon. Her principal research area is the choral music and songs of Johannes Brahms. She has sung in the Byrd Festival every year since its inception.